You don’t need a five-star restaurant to set the stage for a romantic evening — creating the perfect mood starts right in the comfort of your own home! We hold fast to the philosophy that flawless Valentine’s Day décor starts with your light switch. Tap into our ideas and cultivate a space where sparks will fly with your loved one. Nothing kills the mood quite like bright, headache-inducing lighting. 100-watt bulbs might illuminate your sweetheart, but no one wants to feel like they’re standing under the spotlight when they’re enjoying a romantic evening. To achieve the perfect mood lighting, never exceed 60 watts when you’re shopping for the right bulb. Fluorescent and CFL bulbs are the most efficient choice, but make sure to select ones that read “warm/soft white.” This gentle lighting will instantly set the stage for your date night. Planning an intimate dinner for two? Decide what parts of your room are invited to partake. Use a special floor lamp to make one part of your space the focal point of the evening. 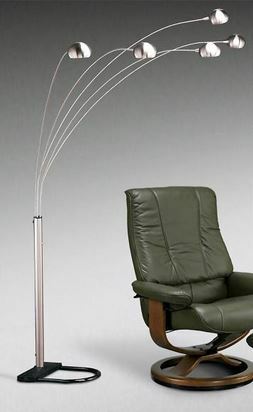 The Mikaela Floor Lamp offers a snapshot of what’s possible, as it will illuminate your seating area with romantic lighting but leave the television and lounge chairs out of sight. With this technique, you can make your kitchen reminiscent of a cozy restaurant. Low lighting is romantic, but dark shadows aren’t. Unique table lamps offer an effective way to achieve that intimate ambience without having your date break out his or her glasses halfway through the meal. Consider using a 40-watt bulb with a piece like the Havana Table Lamp. The result: Lighting that will provide just the right amount of illumination without distracting the romantic setting. One of the biggest perks of these lighting suggestions is that they’ll continue to augment your space long after February 14 has passed by for another year. 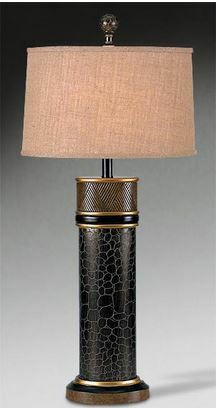 For your romantic Chicago lamp solutions, visit The RoomPlace! Our store locations and online marketplace offer the perfect tools to set the mood at home. What Does your Home Office Say About You?